Historical record: The Swinomish Reservation was established in 1855 by the Treaty of Point Elliott. Our way of life is sustained by our connection to the water and lands where we have fished, gathered, and hunted since time immemorial. The IHI project tests a set of indicators of indigenous health specific to tribal communities in the Salish Sea region. 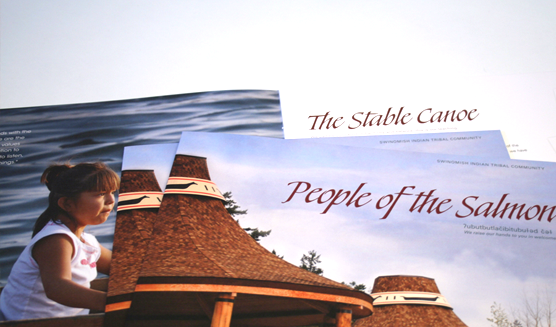 Who We AreWe are a community of Coast Salish peoples descended from groups and bands originating from the Skagit and Samish watersheds, and surrounding coastal areas and islands. 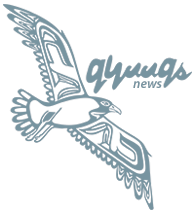 GovernmentSwinomish Indian Tribal Community is federally recognized and operates under Constitution and Bylaws adopted in 1936 pursuant to the Indian Reorganization Act of 1934. EnterprisesThe Tribe is one of the five largest employers in Skagit County with over 292 employees in Tribal government and approximately 450 in its casino and lodge and other economic enterprises. CommunitySwinomish Indian Tribal Community is comprised of approximately 970 tribal members. The majority live within the Swinomish Reservation and Skagit County. We honor our ancestors representing the four aboriginal bands, Swinomish, Samish, Lower Skagit, and Kikiallus, who joined together to form the present day Swinomish Indian Tribal Community. 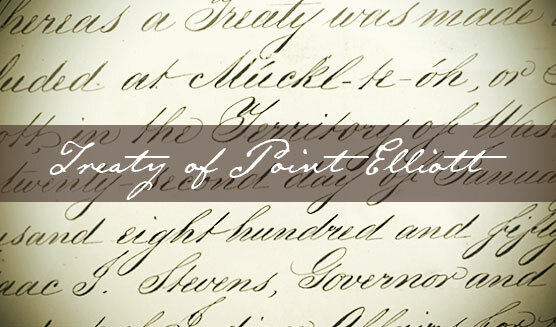 In 1855, Swinomish and 81 other tribes gathered at Múckl-te-óh (Mukilteo, Washington) to sign the Treaty of Point Elliott. Our ancestors committed to protecting a way of life passed down from generation to generation. The elected members of the Swinomish Senate continue that commitment by strengthening our government so that we may protect our treaty rights, culture, and collective wellbeing. As a sovereign nation, we engage in local, state, and interstate commerce, manage our natural resources, and exercise power over our homelands and waters. We value collaboration with fellow tribal and non-tribal governments. Our partnerships spread throughout the region, state, and nation. We are honored to play leadership roles through partnerships with the Association of Washington Tribes, the Affiliated Tribes of Northwest Indians, the National Congress of American Indians, and other important institutions advocating for the rights of Native people. Is your driver's license suspended or revoked? Do you have a bunch of fines and fees holding up your license? Great news: Swinomish has joined with Northwest Justice Project and is offering a Driver Relicensing Program! Learn more today. PSP sampling is suspended during colder weather months when PSP is less likely to occur. Sampling will resume in April 2019. Six swimming beaches OPEN for water contact activities as of 4/16/19. Next sampling scheduled for mid May. Effective Wednesday, September 26, 2018 - The outdoor burn ban on the Swinomish Reservation is lifted. All fires four feet or more in diameter require a permit from the Swinomish Air Quality Program. Please call (360) 466-7280 for additional information.